This toothbrush has a lot to like, starting with the box promise: “Removes up to 10 x more plaque” (I assume “to” means that my brushing technique is still important). It’s about as stylish as an electric toothbrush can be, and it comes with a travel USB charging case that looks more like a Bluetooth speaker. Then there are a variety of settings: Chewing Gum Health, which adds an extra minute to low power toothbrushes; Deep Clean, a three-minute power wash; and White, who supposedly works harder to remove the coffee and tea stains you’re likely to get in the morning. My attitude is sensitive, which protects the precious gums. Nevertheless, it is much stronger than I am used to (a manual brush). On my first use, the toothpaste slips off the vibrating bristles. When I reload and get it successfully in my mouth, I quickly learn the golden rule: Do not open your mouth while brushing, otherwise it will splash everywhere. The brushing itself is good, and I like the extra features – if not the too small cup. 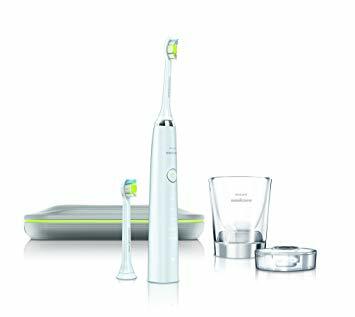 Basically, it is a very good electric toothbrush, charges up quickly and stays powerful for a long time. A look at the price, however, shows that these features are beneficial. Note: The unit should fit correctly in the glass to ensure proper charging and 24 hours charging is required on the first charge.